In a February 1995 issue of Bead & Button, Lindly Haunani demonstrated her version of Mokume Gane. In my polymer clay past life, this article was one of the first examples of combining layers of silver leaf with translucent clay along with very small amounts of colored clay mixed in to enable the cracking of the silver leaf to show through. Thin slices were used to make collages on a base of transparent clay. Here are a few of my vintage polymer clay buttons using Lindly Haunani’s technique. 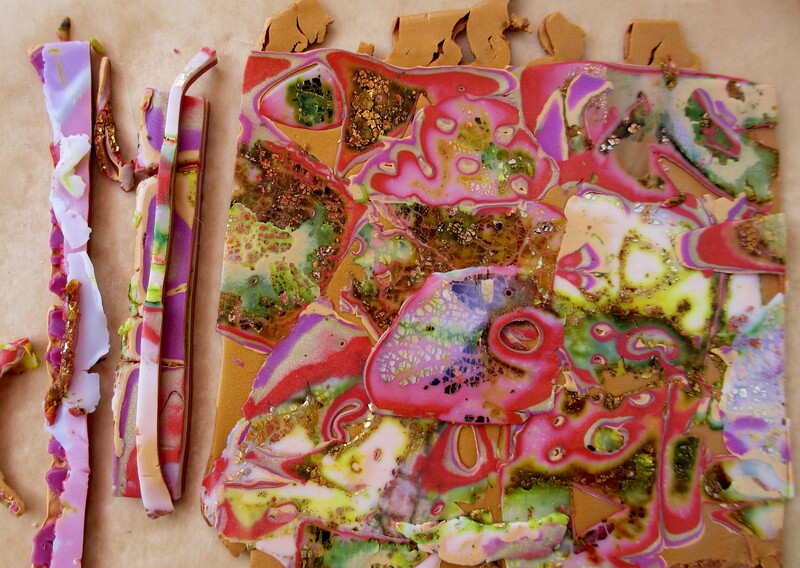 The realm of possibilities has grown by leaps and bounds in the world of polymer clay, alcohol inks are being used in conjunction with metal leaf and translucent clay. The discussion below briefly describes my experience with leaf and ink dye. 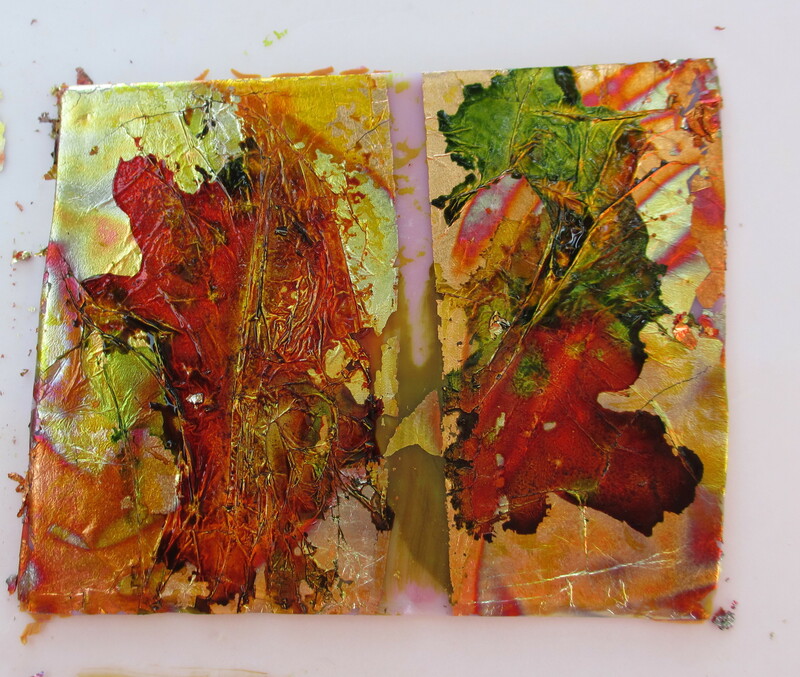 After the alcohol ink dried, the variegated copper leaf was sandwiched between layers of translucent clay and incorporated into sheets of colored polymer clay. Tools were used to imprint the stack. 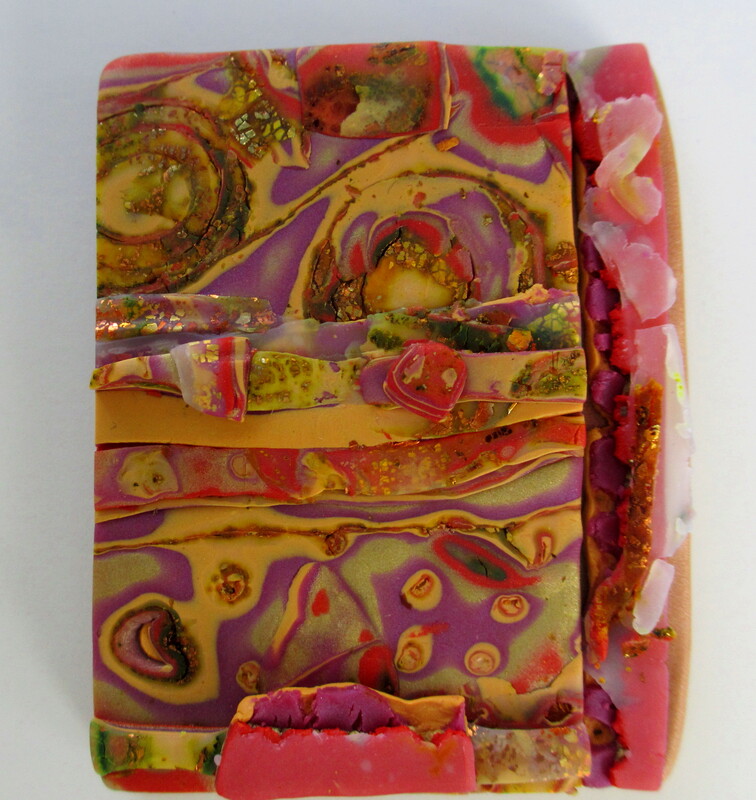 Slices of structural elements were applied to a piece of polymer clay before curing. 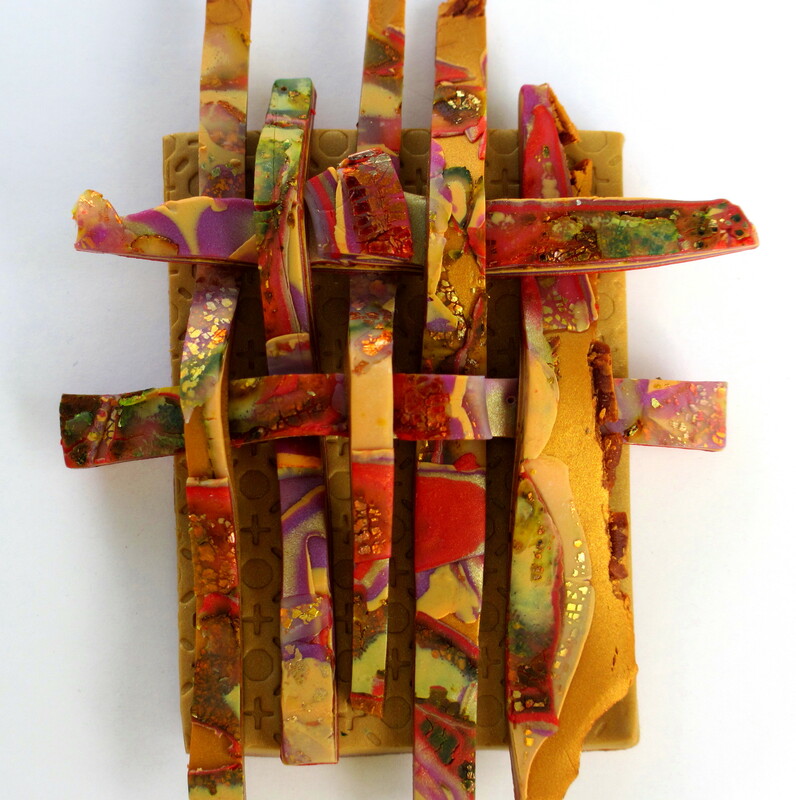 On a textured backing piece of polymer clay, elements were woven and processed. Slicing elements from the Mokume Gane block reveals an interesting pattern. Building with additional structural elements constructs a unique piece of architecture illuminating the subtle effect created by the use of metallic leaf and ink dye.